A difficult task for law enforcement surveillance is monitoring and responding to illegal activity during the commute, specifically in the subway system. It's difficult to have the manpower and resources to monitor everything going on with thousands of commuters. However, there is technology that can significantly improve commuter safety without drastically increasing physical police presence. Here's how law enforcement video surveillance can do this. Radio communications are already an important component of law enforcement, but it can be enhanced even more with the use of video surveillance. Those monitoring the cameras are able to give pertinent information to officers in other areas to make sure responses are accurate and swift. Another way to enhance commuter safety is with the use of surveillance systems that are connected to the fire alarms to not only quickly detect smoke or fires, but to trigger the fire alarms that will speed up the response by first-responders to evacuate affected areas and get the fire under control more quickly. Chemical dangers may be a less obvious threat on the mind of subway commuters, but they pose just as great a risk as other dangers. Just as monitoring systems can be connected to fire detection and suppression systems, chemical detection systems can also be enhanced with the use of an overall surveillance system. This helps warn more people of a possible chemical threat right away and aids in the perpetrator's apprehension as well. Real-time monitoring is one of the biggest benefits of a comprehensive surveillance system in the subway. The person monitoring the cameras is able to see suspicious activity as it unfolds rather than trying to figure out what happened after the fact. This real-time monitoring can deter criminals if they fear their actions are being monitored and communications are in place to aid in their apprehension. 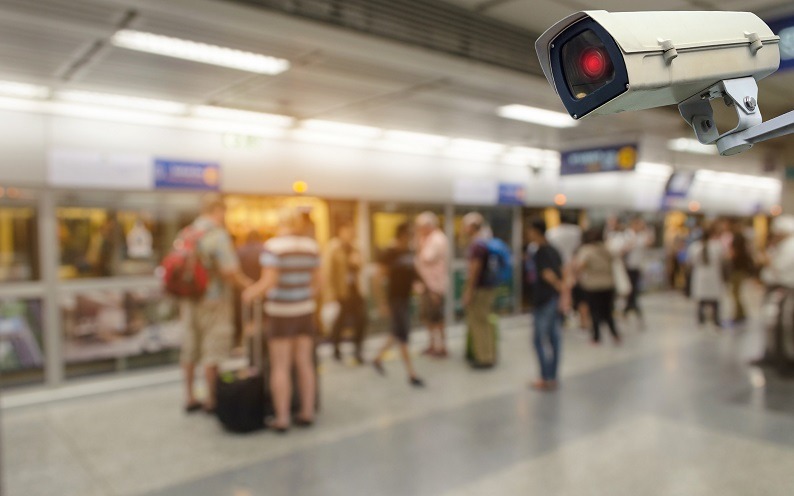 Along with real-time monitoring, recorded surveillance from these cameras makes it easier for law enforcement to protect larger areas and crowds. Law enforcement officers aren't limited to only what they see happening around them, they can use live and recorded feeds to monitor multiple areas and decrease criminal activity and improve response time.